What a lovely surprise to find this bread. I had to use Guar gum as I had no Xanthan in the house and I guess it worked ok as the loaf was evenly risen and light. I keep my millet flour in the freezer to slow the oils from going rancid and it had been sitting there a while… so today I used it in this recipe. Am having to restrain myself from scoffing the lot it is so yummy to have fresh/light baked bread!! Only thing I had ever used millet in before was Antoinette Savills Chocolate cake (made in a liquid slurry this cake is devine). I have saved a number of your recipes to try in my online cookbook. I just made this bread today, and it was the first time I make bread at home. Oh my god! finally a bread loaf that does not contain gluten tastes so good!!!! It smelled great, it was soft and delicious.. my roommate and I loved it! This is AMAZING! I can’t tell you how much it means to me to have finally found a bread recipe that my whole family truly loves. My wife is practically in tears (me too, honestly) about having such fabulous bread that we can make at home. 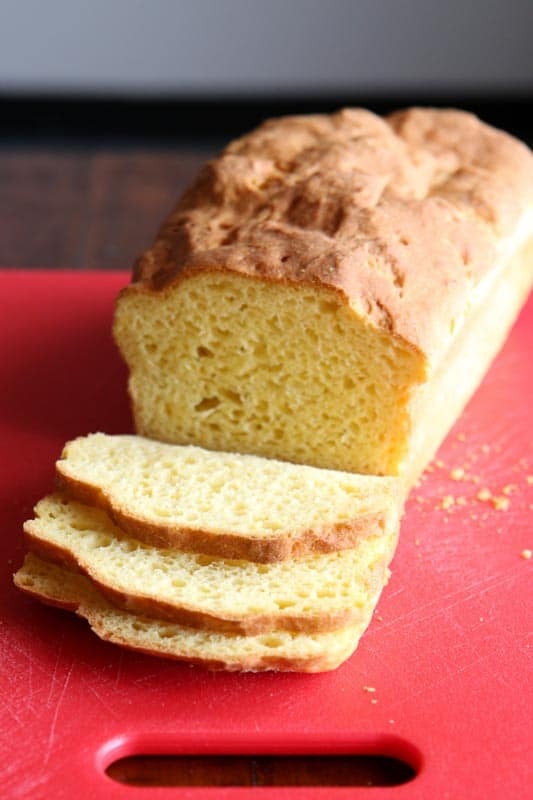 Going gluten free has changed our lives in so many great ways but I used to make bread for our family and have never found a recipe that satisfied everyone for that perfectly delicious sandwich bread. This is it! I have truly missed the glow on our kid’s faces when they would sit down to hungrily gobble down slices of warm, fresh-baked bread and butter. Now it happens every other day! And also thank you for taking the time to talk through the various details in your article. 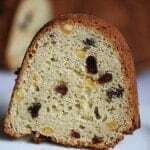 It really helped me know exactly what to look for in the baking process and to understand the reasons for the different steps involved. I’m now going to scour your site for other great recipes (particularly a rustic loaf – hope there’s something there!) as I am now one of your biggest fans. From my heart and from my whole family – THANK YOU!!!!! Thank you so much! I’m so glad you enjoyed the recipe. My location is Denver, CO, therefore, high altitude of 5900. What changes would you recommend before I attempt making a hopefully great future replacement for wheat bread. 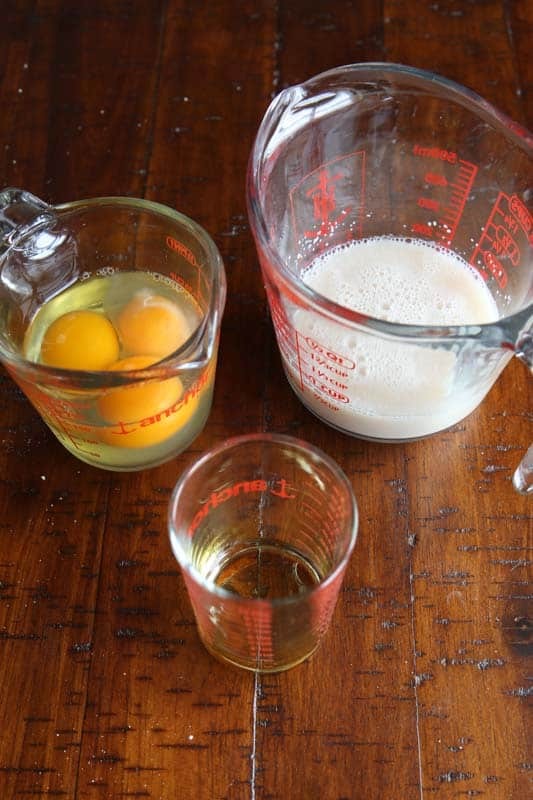 Reduce the yeast to 1 1/2 teaspoons. Be sure to cover it with greased plastic wrap as it rises. High altitudes cause dough to dry out. Check it as it rises. It will probably rise faster. 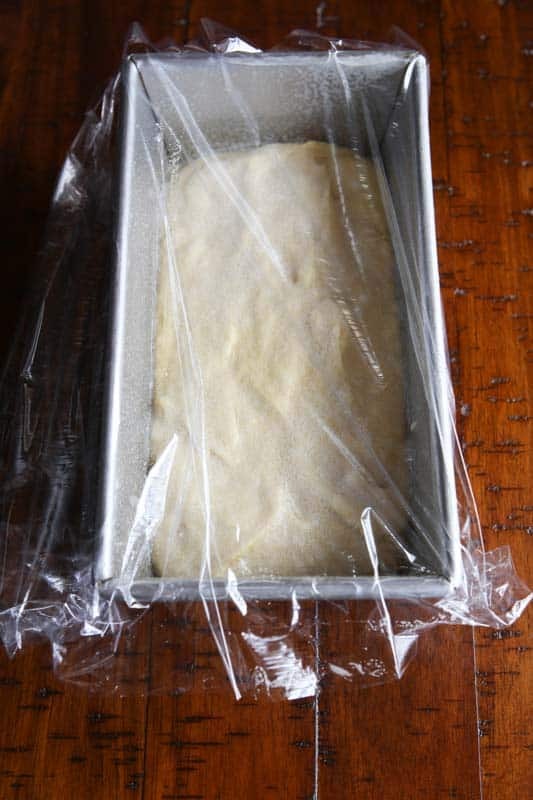 If it browns too quickly as it bakes, cover it with aluminum foil. Can honey be substituted for the sugar? And if so how much? 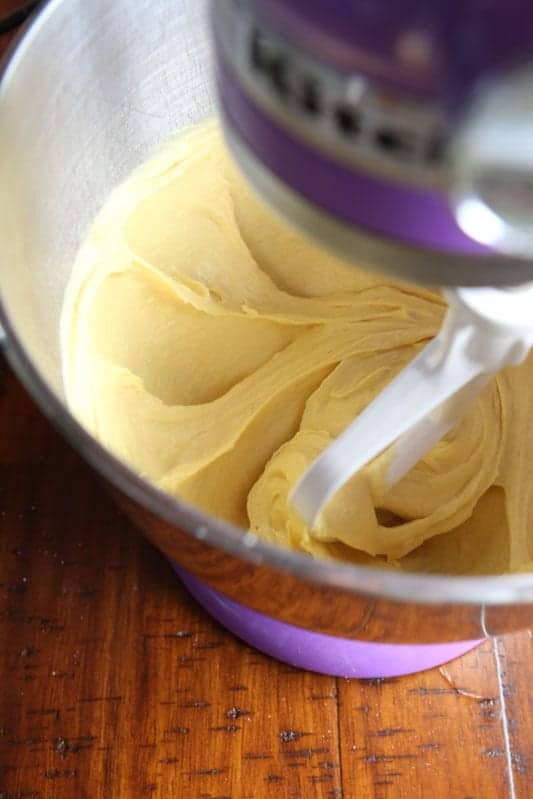 In this recipe, you could substitute 1:1. Enjoy! I recently made my Mum this gluten free loaf for the first time. I followed the instructions precisely except that I substituted Millet flour for Rice flour and Tapioca starch for Corn starch because that’s what I had to hand. My loaf came out almost picture perfect for the picture on the site. 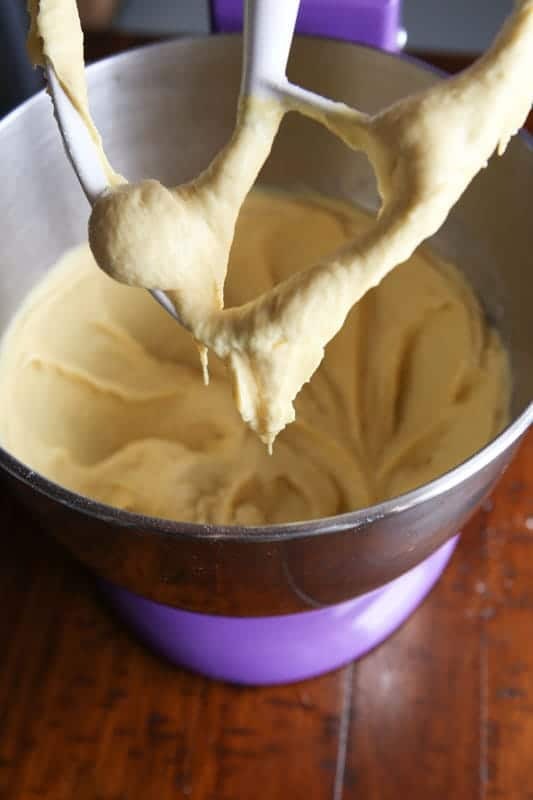 I’m SO happy to have found an easy recipe that just does what it says on the tin. I’d like to thank you for this wonderful recipe! Mum said it smelt and tasted gorgeous. I doubled the ingredients (and used flax eggs instead on regular eggs) and put everything into my Zojirushi Virtuoso and chose the Gluten Free setting. I was thrilled that it came out like a regular loaf of bread, so my slices were typical sandwich size, instead of the little pieces of bread typical of store bought gluten free bread. I enjoyed your recipe much better than the gluten free recipe that came in the Zojirushi recipe book! Yum! Thank you so much for sharing! 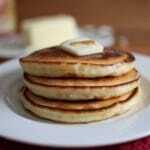 I noticed that you also posted a recipe for GF pancakes…they’re next! Oh, yay! Glad it worked egg-free. I need to try that! I tried your recipe for GF sandwich bread. What a surprise, finally a bread that doesn’t sink. The texture and flavor went beyond all my expectations. 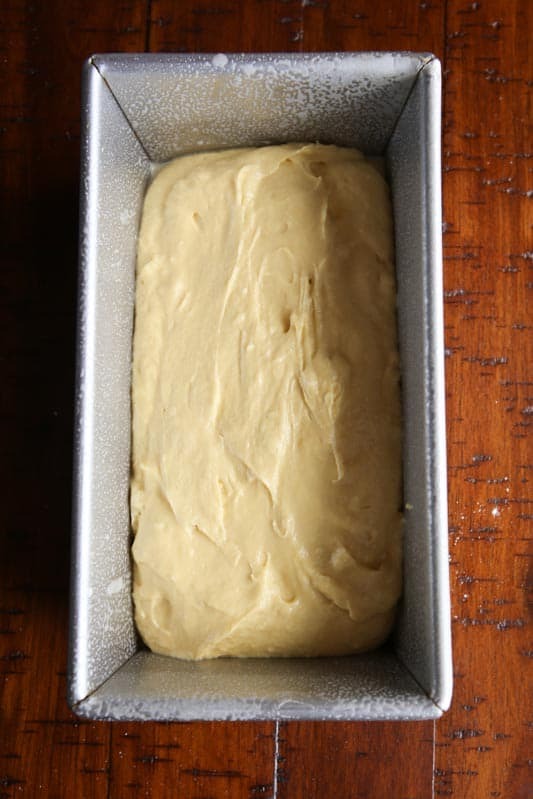 I followed the original recipe to the “letter.” I want to make a larger loaf. 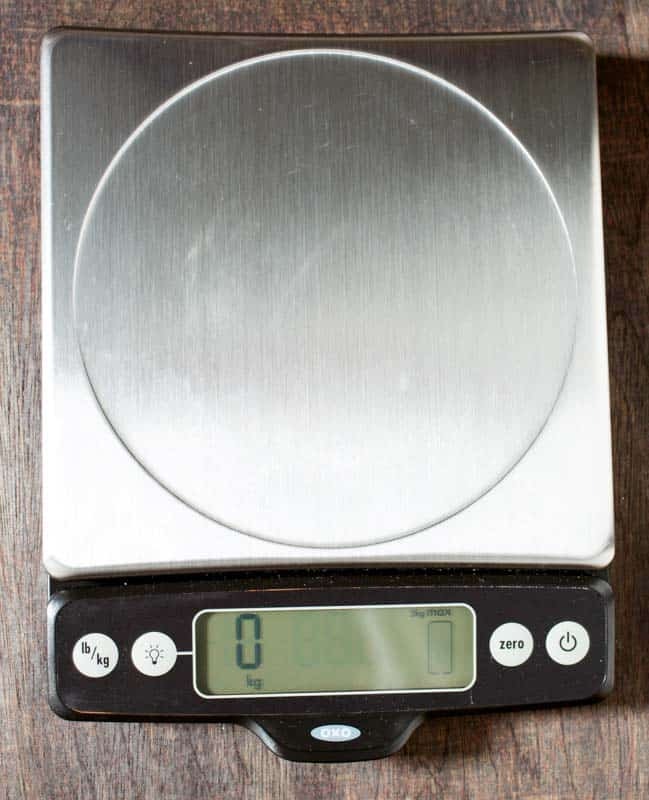 My baking recipes are changed to weight instead of dry measure. Does the loaf still hold if it is increased by 1/3? 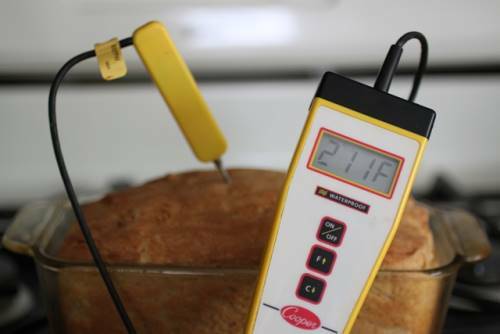 To be honest, I haven’t tested an increased version of the loaf. I *think* it should work but I don’t want to promise that it will. If you make it, let me know how it goes! Hello Elizabeth! Just found your website and this recipe looks amazing, I’m eager to try it! I just have one question, if you could help me.. 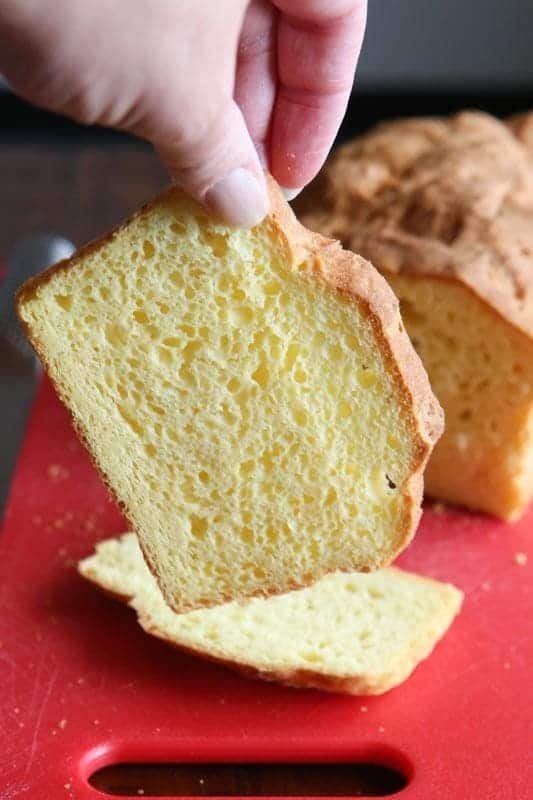 If you use milk to the recipe instead of the water, as you it looks like a brioche bread. I would like to try that, but I’m dairy free…do you think it would work with a plant-based milk? Would it be as rich and creamy? Thak you for the help! I think a plant-based milk would work just fine. 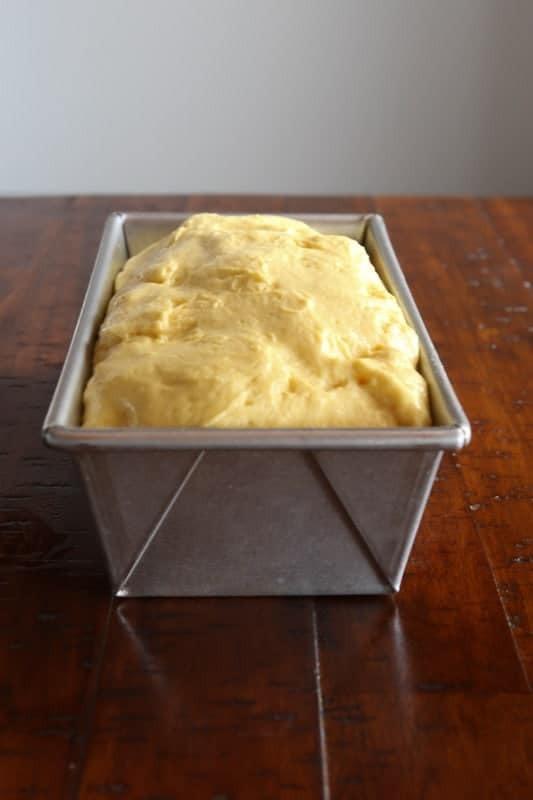 Will it be as rich and creamy as traditional brioche? I don’t think so. Brioche has quite a bit of fat in it, in addition to the dairy. The loaf will taste lovely but it might not be a brioche. That said, I need to work on a recipe for brioche. When I do, I’ll let you know! HI. I just tried this GF bread over the weekend. The flavor was delicious but the dough didn’t rise at all. My yeast was ok – I added some sugar to the warm water and yeast and it rose beautifully. But in the dough it didn’t rise at all. What kind of millet do you use? I’m in Bangalore, India, and we get several kinds of millet here. I think the one I used is called finger millet (aka pampered corn!). It sounds like the water might have been too hot and killed the yeast. 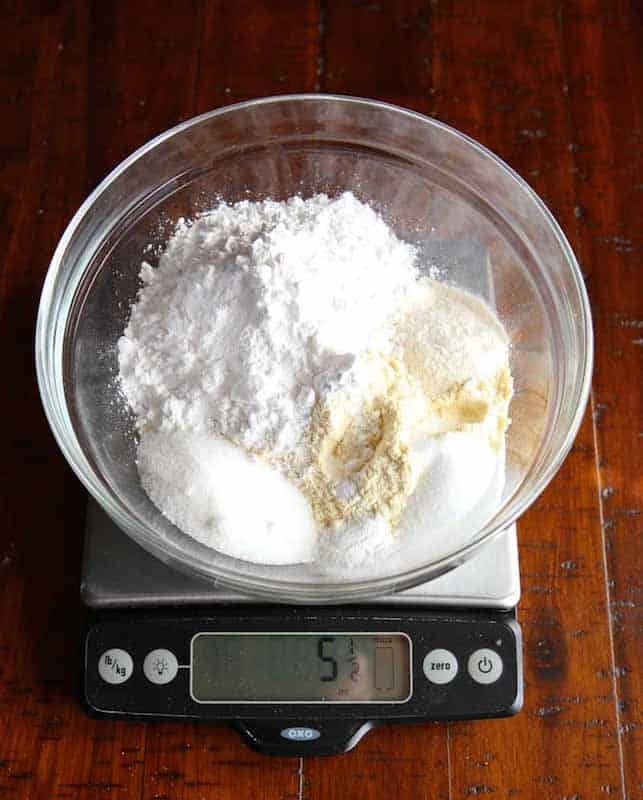 Also, if you want to test yeast with sugar, add only a small amount. If you add too much, it too can kill the yeast. As for the millet, I use ground millet flour from Bob’s Red Mill. 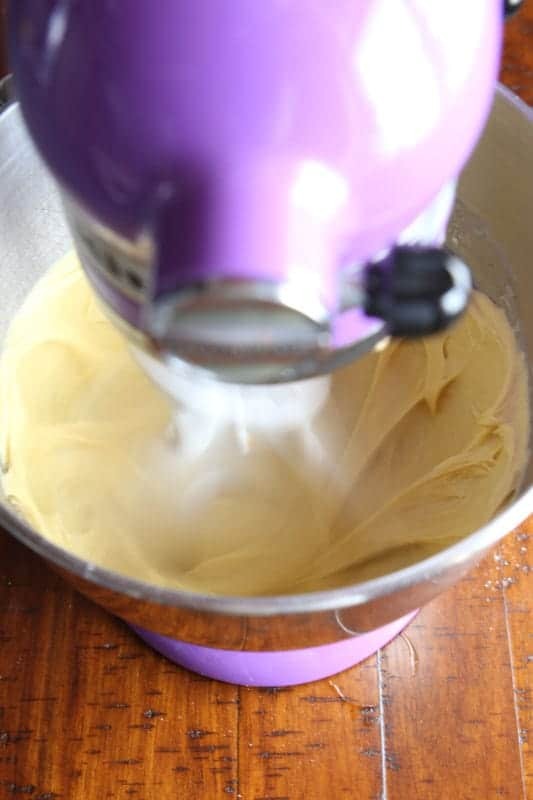 It’s a very finely ground flour that’s yellow in color. I’m not sure of the variety. I looked at Bob’s Red Mill millet flour and from the picture I think it’s foxtail millet, which is a different variety from what I used. I’ll try that next time. Thanks! This sounds sooooo good. I’m anxious to make it! Question, can you use coconut or potato flours in place of the millet? Also, please explain the difference between tapioca flour and tapioca starch! Thanks! No, this will not work with coconut flour or potato starch in place of the millet. 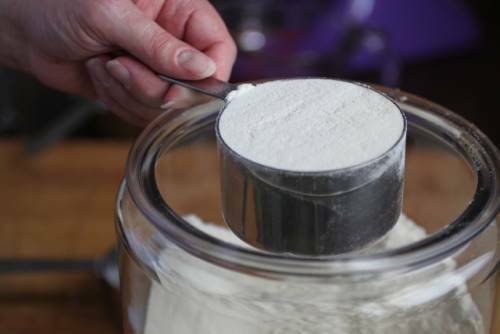 Sorghum flour or brown rice flour would be your best replacements. As for the tapioca flour vs. tapioca starch, they are the same thing. 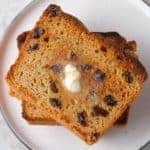 I found this recipe and I want to try it in a bread machine. Why is it that gluten free bread doesn’t taste like normal bread and how can I get it to be light fluffy and really improve on the taste because the bread I have eaten is well… not great. I want it to taste like baked bread. I live in South Africa and compared to American products we are way behind. Plain and simple we are a hopeless case. Gluten-free bread does taste different. There are so many reasons for that but the simple one is that it doesn’t contain wheat. When you make a bread with wheat flour, it has a distinct taste and texture. 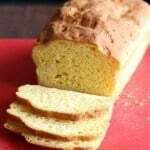 This recipe makes a lovely gluten-free bread. I hope you give it a try and enjoy it. Thanks for a great recipe and also explanation of what ingredients you use. I baked this bread last night – I only had sorghum flour so used that but can’t wait to try the millet as well. 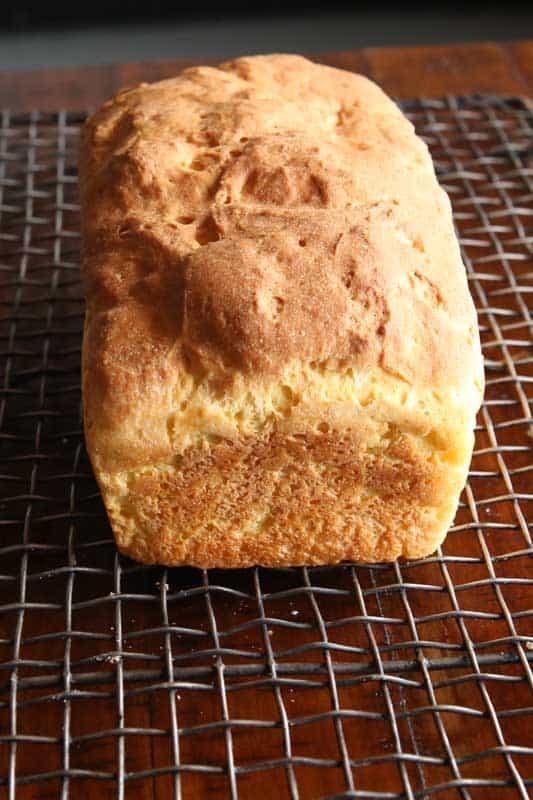 This has to be the best gluten free bread I have made. Even my family who are my guinea pigs agree. The texture is so light and perfect. I ate of it last night – made toast this morning for breakfast (which came out perfectly) and just had the perfect peanut butter sandwich for lunch. 😉 you have no idea how I have been craving a soft bread peanut butter sandwich. The best thing about this bread besides the texture and taste is that I don’t need impossible to find ingredients that I only seem to get online at an unaffordable price (like pectin – hard to find in South Africa). Only two flours of which neither one is rice….I cannot handle the rice aftertaste in most recipes. Thank you for your 6 month sacrifice in perfecting this recipe!! Thanks for the recipe. I made this bread the other night in the bread maker. Even though it collapsed it tasted very even and without any over powering flavour. I have a Breville Bread Maker with a gluten free setting, I did follow the recipe correctly for the ingredients however with not a perfect loaf of bread. I will try and make it in the oven, however, I would like to continue with the bread maker. I see your advise regarding your bread maker but do you have any advise for other bread makers and ingredients. I always follow the procedure by putting the wet ingredients in then the dry ingredients. Do you think I should alter anything to make it better or do you think another program would be better. If you have any advise to give I would love to hear it as I enjoyed the taste of the bread even though it sunk in the centre. My daughter also liked the texture and wants me to make it again. Now I motivated. Well, I am so pleased. My loaf came out perfectly and this is the first time after trying about 20 gluten-free sandwich bread recipes. The only problem is — I didn’t really like the taste of the millet. But my loaf looked just like the picture. After making 20 loaves, obviously I have a bit more experience and I used my own oven settings and mixing process. So, I’m going to try and substitute some sorghum and white rice for the millet and use this recipe as a base for experimentation. So glad to have found a recipe that is compliant with the guidelines in Dr Gundry’s The Plant Paradox (HIGHLY recommend reading). Just tried the recipe for the first time. My result was PERFECT and DELICIOUS. Thank you so much for all your hard work and experimentation to create this delightful bread! Wahhhhhh! Big typo mistake (I think)! 2 tablespoons of sugar listed instead of teaspoons. Although my loaf is a success, it’s VERY brown and quite brioche like. I did have my suspicions, but as it said tablespoons in two places, I thought I’d best do as I was told. Hmmmm, it might be so brown as I have brown millet flour apparently (just translated the German packaging) are there different types of millet? It’s a little sticky in the middle. There was gunge collecting on the knife as I cut it into slices. I checked the internal temp at 45 mins and it was up to temp, but perhaps I’ll give it 5 more mins next time. There are many different types of millet. I’ve reached out to Bob’s Red Mill to see what type they use for their flour. I’ll let you know what I hear. Nope. Not a typo. 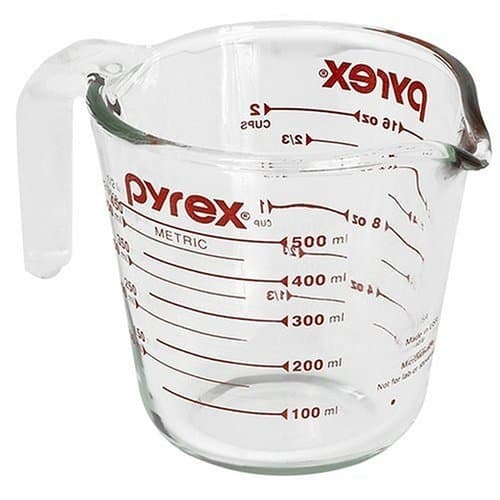 Feel free to reduce the sugar to 2 teaspoons if you’d like. The bread won’t brown as much but it will still taste lovely. When you say Millet, there are several types of millet like pearl millet, finger millet, little millet, barnyard millet, kodo millet, foxtail millet etc. Which one should I use for this bread. I live in India and Bob’s Red Mill millet isn’t available so I would have to buy a different brand. Just wanted to clarify which type. Thanks for your help. Really looking forward to trying out this bread. I’m not sure. Bob’s Red Mill doesn’t state which millet they grind into flour. I’ve reached out to them. I’ll let you know what I hear.